A team from the Australian Nuclear Science and Technology Organisation (ANSTO) helped orchestrate the voyage to trawl for plastics beneath the surface of Port Hacking. The emissaries of a cleaner waterway embarked onboard the Danish tall ship, Yukon. Biomedical scientist, Professor Richard Banati, and the head of ANSTO’s Institute for Environmental Research, Professor John Dodson shared ANSTO’s research into plastic in the marine environment, including what happens to plastic waste as it degrades and how it can enter the food chain. Just one hour of trawling revealed a significant amount of small and large plastic debris in the waterways. 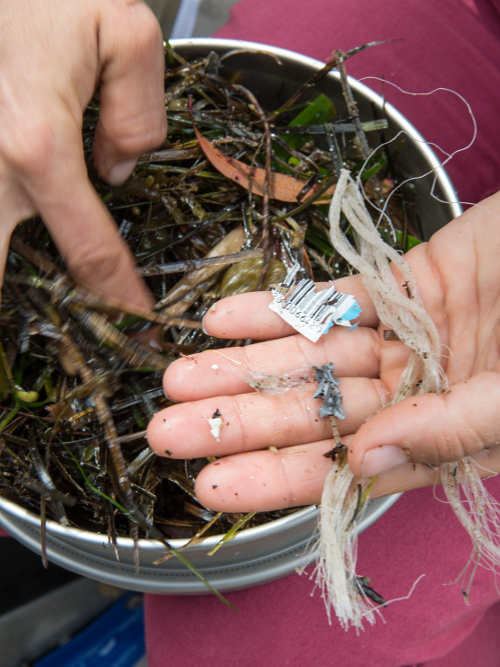 The Yukon will now continue its citizen science spree, taking community groups on similar plastic-hunting tours of Sydney Harbour.